‘You are a liar. You will never be on a court of mine as long as you live. When are you going to give me my apology? 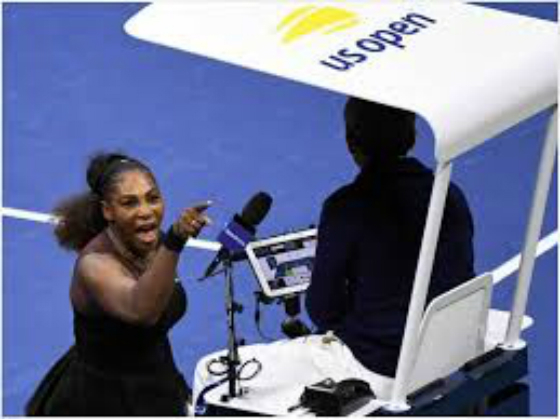 Say you are sorry.’ So said a clearly frustrated and angry Serena Williams to the umpire of her US Open final, after he repeatedly fined and penalised her for ‘code violations.’ Her outburst was prompted by the injustice of how she felt she was being treated, but rather than improve the situation it led to her being docked a game at a crucial point in the match. The Bible records an outburst of Jesus that also took place in a court – not a tennis court but rather the Court of Gentiles in the Temple at Jerusalem. A place that was intended to help people come close to God had been turned into a market place where worshippers were exploited. Furious at this injustice Jesus railed against the traders and money-changers, accusing them of turning a House of Prayer into a ‘den of thieves.’ The whole purpose of Jesus’ life was to make it possible for people to draw near to God and his anger was always reserved for those who put obstacles in the way.